Needed a bit of a break from the fuel tanks, am also waiting for another batch of proseal from Vans. So I started to work on the empennage fairings. Read through the directions and they seem pretty straight forward as far as getting them fitted. I am going to use the West Systems to fiberglass them so there a smooth transition from the fairings to the empennage parts. The only one that will be removable will be the bottom fairing on the rudder. This is just in case I need to get at the light and/or wiring. Got all the fairings trimmed, fitted and sanded. 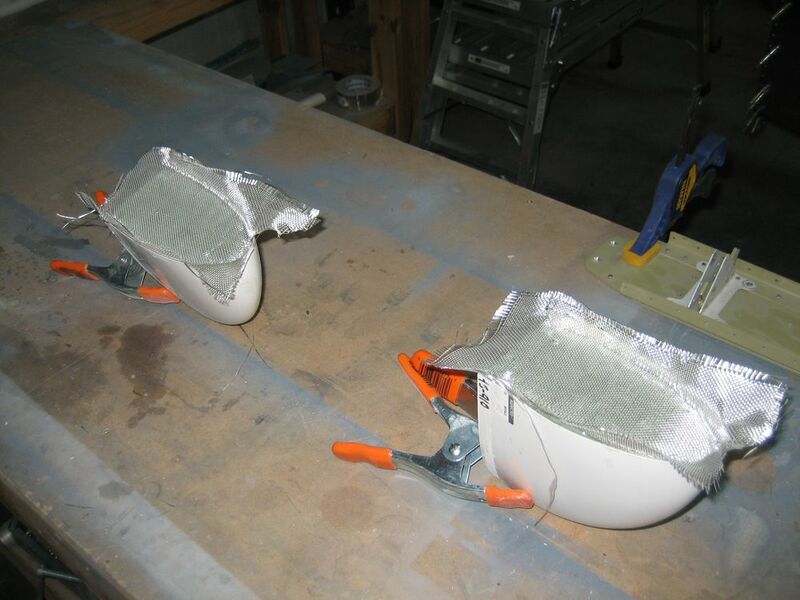 Before I rivet them to the empennage, i will be using proseal to attach strips of aluminum to the insides of the fairings as a better support for the rivets. I do not want them pulling through the fiberglass.